One of the new initiatives with a focus on technology is Captiol-Husting’s partnership with Liberation Distribution (LibDib), a California-based company that enables craft distillery product distribution from craft distilleries nationwide. Republic National Distributing Company and Liberation Distribution Join ForcesDistribution into Wisconsin Is Now Available to ANY Maker! 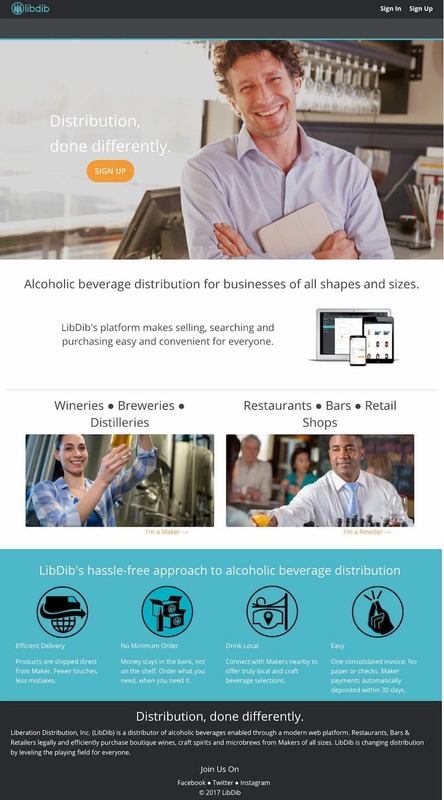 LibDib is a distributor of alcoholic beverages enabled through a web platform. Restaurants, Bars & Retailers legally and efficiently purchase boutique wines and craft spirits made by Makers of all sizes. LibDib is currently selling to accounts throughout California, New York and Wisconsin. Expansion to new markets coming soon.